There is no more pretending that Fall is not here yet. The warm temperatures, as much as misleading they are, can’t stop the leaves from falling. I should know. Racked the leaves the other day just to wake up to another blanket of them the next day. And so did the glaze. Bittersweet chocolate glaze. Mmmm.. Yum! So today I am sharing my first Fall cake of this year. It had to be chocolate. Of course. With a chocolate glaze. The glaze is not too sweet. It let’s the flavors of the cake and itself to exist in perfect harmony. Let your butter, eggs and sour cream stand in room temperature for 30 min. Position a rack in the center of an oven and preheat to 325°F. Grease and dust with cocoa powder ( or flour) your bundt pan. Sift together the dry ingredients: flour, cocoa powder, baking powder, baking soda and salt. Set aside. In the bowl of an electric mixer beat the butter until smooth and creamy, 30 to 45 seconds. Gradually add the granulated sugar, beating until blended. Increase the speed to medium-high and continue beating until light and fluffy, 3 to 5 minutes. Add the eggs a little at a time, beating after each addition, until the mixture is thick and creamy, 1 to 2 minutes. Stop occasionally to scrape down the sides of the bowl. Next beat in the vanilla. Add the flour mixture in three additions, alternating with the sour cream. Make sure you start and end with the flour. Gently fold in the chocolate. Pour the batter into the pan. Spread it so the sides are about 1 inch higher than the center. 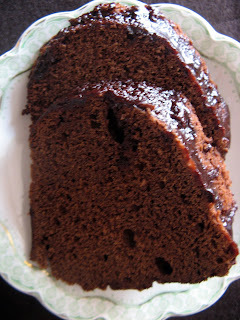 Bake until a toothpick inserted into the center of the cake comes out clean, about 1 hour. Cool the cake upright in the pan for 10 minutes. 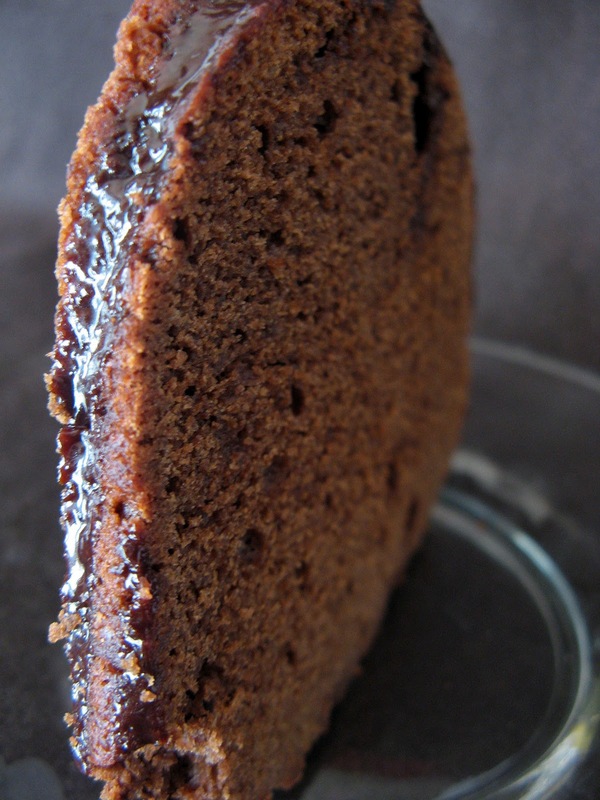 Invert the cake onto a plate and let cool completely. Drizzle with glaze. Place all ingredients in a small bowl. Mix until good to drizzle. 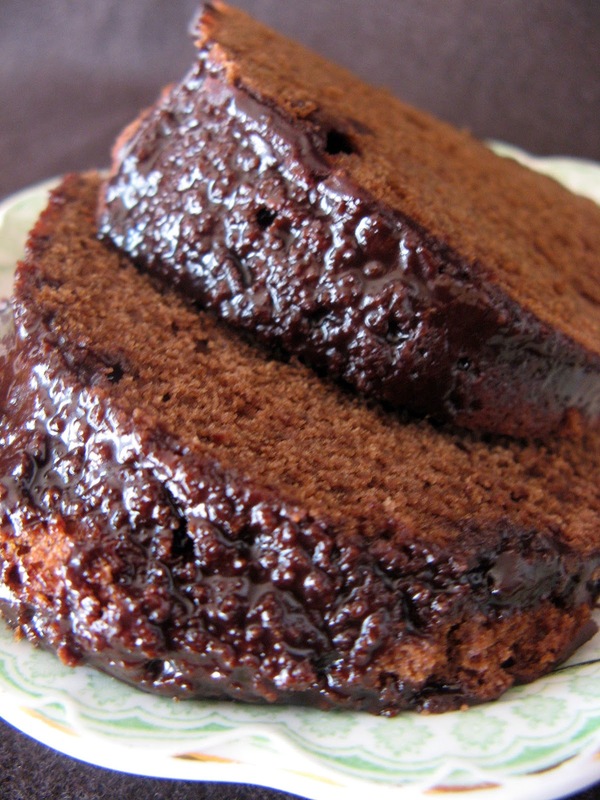 You can substitute cocoa powder for chocolate. Use 3 tablespoons of cocoa powder mixed with 1 tablespoon of oil for every 1 oz. of chocolate ( 1 square ). Works great! So what should I bake next time I rake the leaves? That's my new excuse to bake 😀 Thanks Serena!